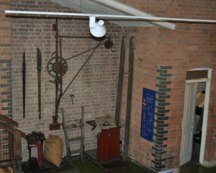 The museum offers a variety of attractive backdrops for making films, television and video programmes, and general photography. On this page we describe the locations available. 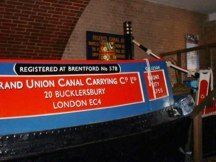 When you need a scene in a traditional narrowboat cabin, Coronis at London Canal Museum is ideal. Unlike cabins on floating boats, there is easy access to electricity and no problem if the weather is bad. 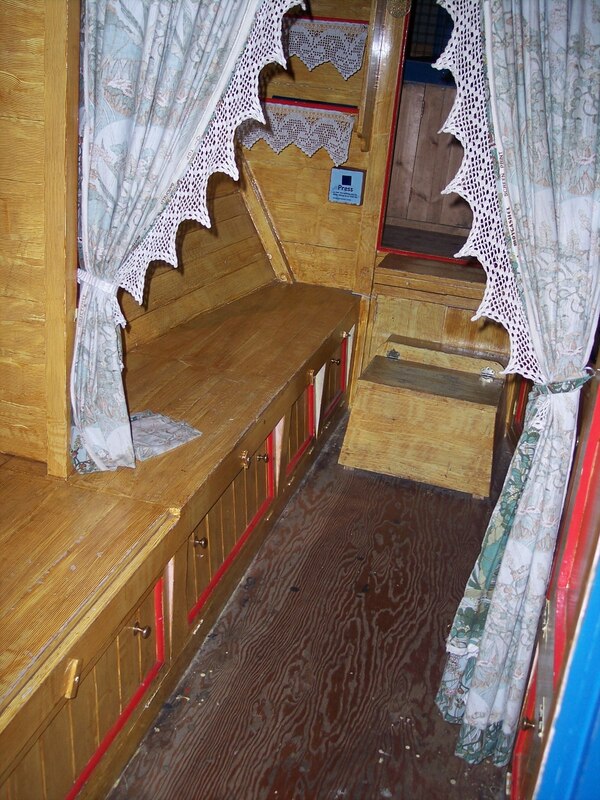 The cabin is a reconstruction, although the hull of the boat is original. There is a traditional stove (not usable) and traditional roses and castles decorations. The cargo hold, although not the original full length, could be used for a scene involving traditional canal boats where characters have to be filmed inside the hold. The ground floor is an attractive place with brick walls, on two levels. The entrance has a shop and a shop counter, and there is an open area in the centre. Towards the rear, a raised wooden stage area is reached by means of wooden steps. A wooden balustrade separates the two levels, and a metal fence surrounds the opening through which the ice well beneath can be viewed. 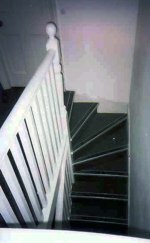 A wheelchair lift links the two levels. The wooden-floored area at the rear has a view across the canal basin. 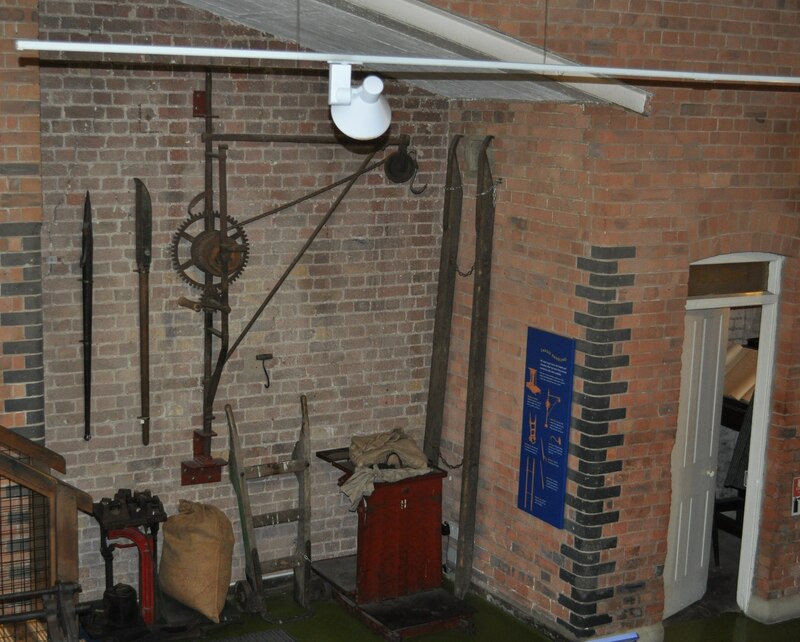 The exhibits include a display of lifting weighing and handling equipment that evokes an age of manual handling of goods and cargo. The first floor gallery has a mid-Victorian timber roof of traditional design, brick walls, and a solid floor. 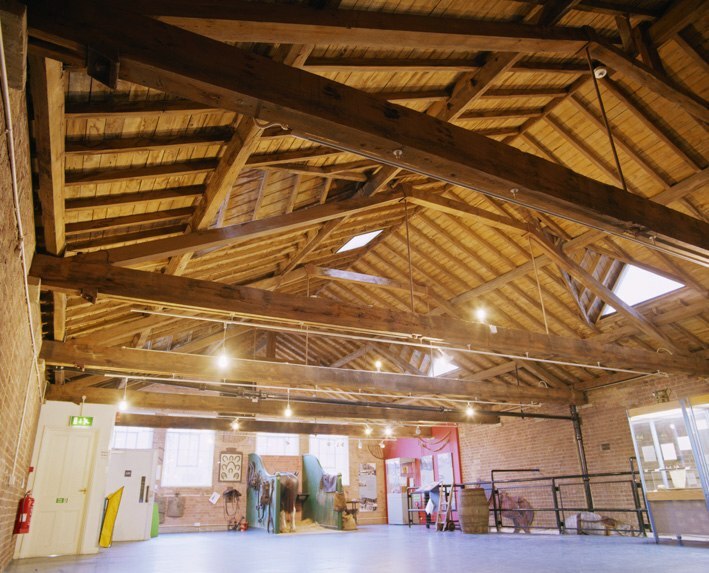 The barn like roof dominates the room which has plenty of space available as exhibits can be moved to create room. The meeting room is a split level room with a step of about 9" in the centre, which is a narrow section. The larger, lower section is seen in the picture. 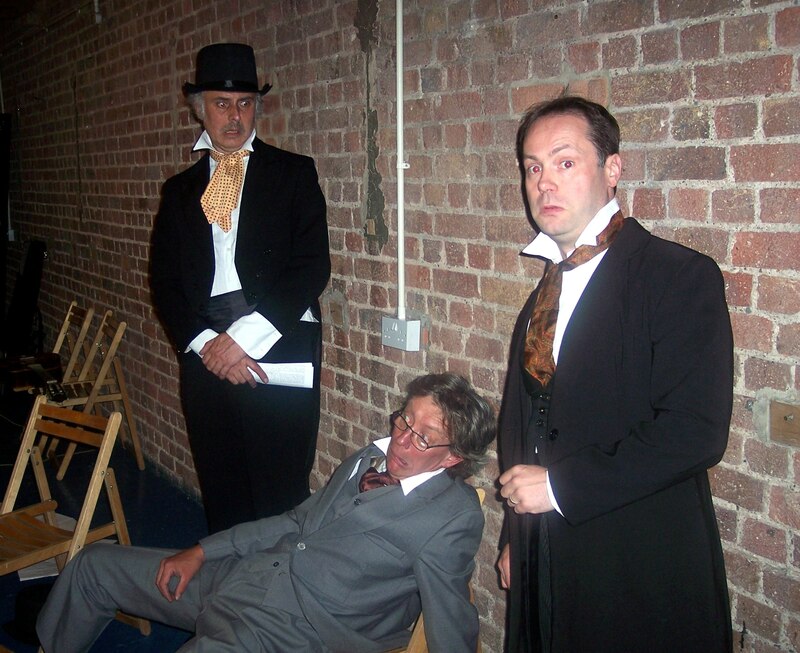 The room is carpeted and could be used as an operations base for other filming taking place, or could be used in a scene as a boardroom, or dressed for other roles. The kitchen adjoins this room so it is also suitable for staff refreshments during filming work. 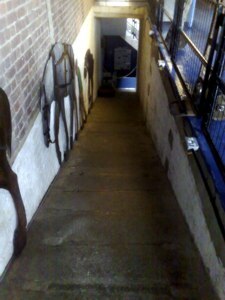 The second floor of the museum only houses three small rooms and is reached by a narrow staircase with a sharp turn at the bottom and close to the top. A hansome balustrade, possibly dating from 1904, protects the landing at the top, off which traditional wooden doors, painted white, give access to the rooms. There is daylight from a window on the landing. 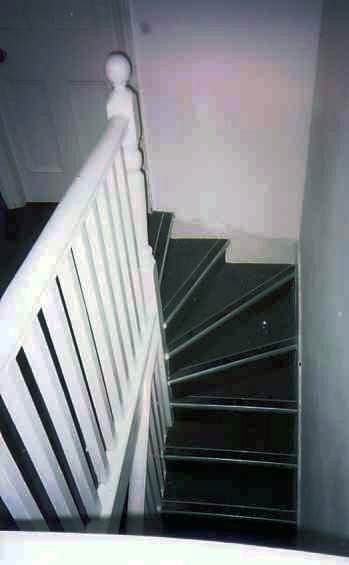 This characteristic part of the building is suitable for filming scenes involving narrow winding stair access in an office or similar building from the early part of the twentieth century. The Library can only be used in ways which do not present any risk to the materials and archives held in it. However the fairly small room could be used for a scene in a library, archive, or as a study, where a backdrop of files, books, and documents is required. A traditional library table is available. The horse ramp allowed horses to reach the stables on the first floor. The ramp is largely intact. An unusual feature of an unusual building, the slope is approximately 1 in 3. The ramp was built as part of the major redesign of the building in 1904-6. The Bantam Tug was built in 1950 and is about 21 feet long. It is fully operational and the museum can provide a crew for it although due to its age, availability can never be completely guaranteed. 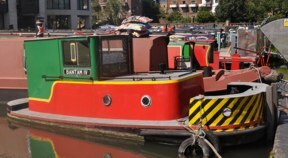 The tug is photogenic, being painted in bright red and green, in accordance with the wishes of its last working owner who donated it to the museum. 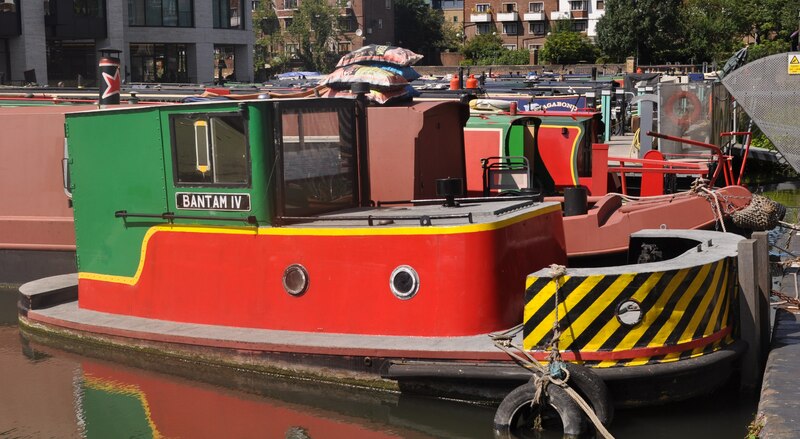 It has been used in theatrical productions and for documentary interviews.Please note that filming the tug from the towpath or wharf requires permission from the Canal and River Trust. For more information about the tug see our collection section. The kitchen is a small room without cooking facilities but with a stainless steel worksurface for food preparation, double sinks and a hand washing basin. It can either be used in a practical way for crew refreshments or in a scene requiring a sandwich room, sandwich making, or similar.